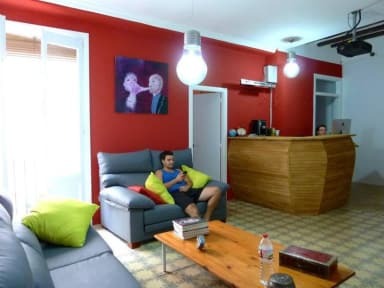 Hostel On the Road is located in the heart of the historic center of Tarragona in an extremely characteristic, quite and lively area within short walk distance to all sites and is surrounded by the extraordinary beauty of Cathedral, buildings, shops and monuments as well as impressive, historic Roman ruins. Only 100m from the Cathedral, 5 minutes walk from the beach and boardwalk. We don´t accept credit or debit cards so please pay in cash. There is an ATM in the main square, near the hostel. Si trova in pieno centro, qualche minuto dalla stazione, a due passi dalla cattedrale e dalla rambla. Piccolo, con spazi un po ridotti ma pulito e in ordine. Personale in gamba e coinvolgente, con tanta voglia di interagire con gli ospiti, anche con me che non parlo spagnolo ne inglese. Assolutamente consigliato. Davvero un gran bel posto anche se un po' piccolo ma con un personale che ti fa sentire come a casa!